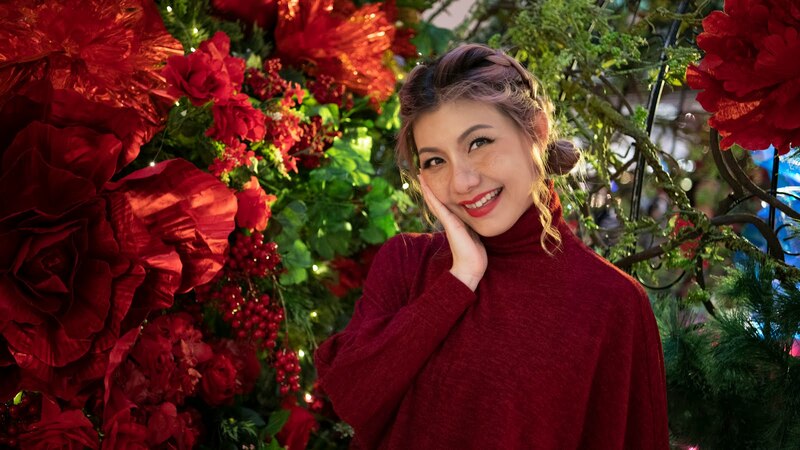 Beautifully themed as 'Christmas in the Air', Sungei Wang Plaza is all set to bring you a joyful Christmas celebration, this Christmas. A Lightning Ceremony is held to officiate the celebration with the highlight of the 25 feet tall Hanging Christmas tree suspended in the air with its resplendent Yuletide lights and decorations at Centre Stage, Concourse Level. The main entrance is transformed into an enticing magical wonder with flying horses and Christmas tree. 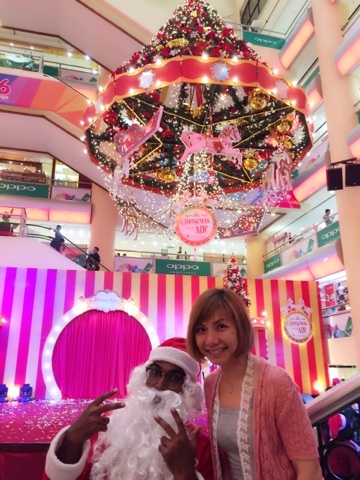 A series of Christmas related events & activities has also been scheduled to hype up the shopping from 4th December (Friday) to 3rd January 2016 (Sunday) at the Stage & Concourse Level of Sungei Wang Plaza. 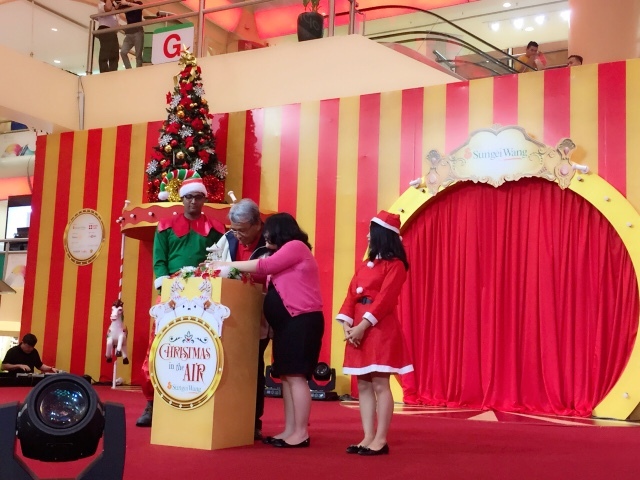 For some Christmas fun, Sungei Wang Plaza also brought in kiddie ride such as mini carousel, mini trains and game booths for the children. In conjunction with Christmas Celebration, Sungei Wang Plaza together with Rotary Club of Pudu will be organising the Single Mom Christmas Even (CSR Program). This meaningful program aims to help single moms and to show appreciation of their bottomless effort to their family. 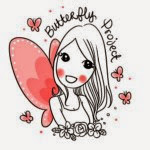 Single moms with their children are invited for a pampering day out at Sungei Wang Plaza. They had fun with makeup session provided by Face Image Academy and hair-do by Miko Hair Studio, followed by a scrumptious lunch treat. 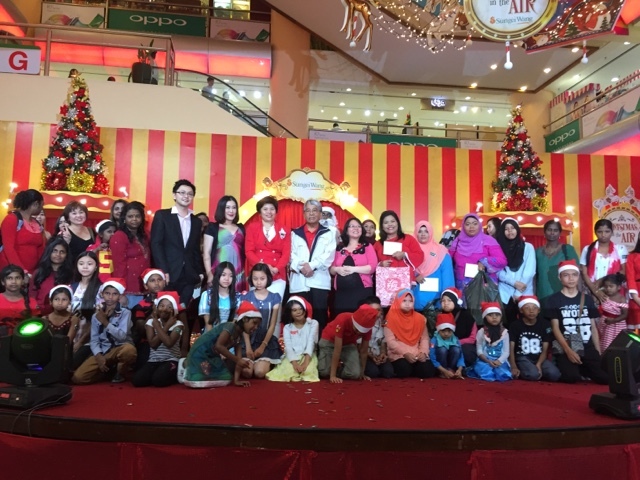 Each mom also received RM200 cash voucher to shop at Parkson. A Single Mom Charity Bazaar that sells ladies products ranging from clothing to accessories, food and beverage, beauty products etc. will be on sale on 19th and 20th December 2015 to create awareness for single moms and part of the profit will be donated to the Single Mothers Association. A variety of interesting events and performances such as Acrobatic Santa & Elves, Christmas Carolling, Kids Christmas Workshop, Christmas Character Walkabout and others are all lined up for shoppers to participate and enjoy during weekends for the entire month of December. A Christmas Market Hall will also be set up next to the centre stage, where tourists and shoppers can find Christmas delights and festive season related products for their loved ones and gifts all in one place. 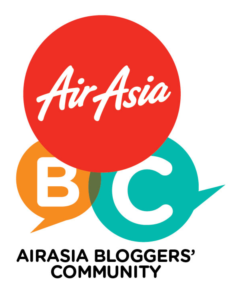 The participating brands are Fujifilm, Chocolate Fame, Naa&Naa Beauty, Playroom, Areej Perfume and many more. Shoppers can enjoy free gift wrapping service with any amount spent in Sungei Wang Plaza. For every RM150 spent in a single receipt from the mall outlets, shoppers can redeem a free ride at the Christmas Carousel or Kiddie Train, with minimum spent of RM250 and above in a maximum of 2 accumulated receipts shoppers are entitled for a Pull & Redeem instant redemption, available at Sungei Wang Plaza Customer Service Counter at LG Floor. For international tourists, Sungei Wang Plaza is proud to present 'Bring a Piece of Malaysia Home with You', an International Tourist Exclusive Jute Bag redemption. Shoppers bearing foreign passport just need to shop their passports at the Customer Service counter to be entitle for a Sungei Wang Plaza's passport. Collect 3 stamps from 3 different locations in Sungei Wang Plaza (in between ground floor to 3rd floor) and spend a minimum of RM50 in a single receipt at any outlet in Sungei Wang Plaza. Once completed, shoppers can present the stamped passport with receipt to redeem for an Exclusive Jute Bag. Last but not least, Sungei Wang Plaza is decked out itself as a best place for all kinds of things this festive season. With a vibrant mix of retailers & fashion designers, latest mobile phone & IT gadgets, home products, beauty & accessories and also a wide spectrum of mouth-watering foods & beverages.